As a "discounter," Assist-2-Sell is often inaccurately lumped in with the third category, "Limited Service/Discounted Commission." A key difference between Assist-2-Sell and others in the "discount" real estate space is the level of service. Assist-2-Sell discovered early on that while sellers love the discounted commission, they still need and want full-service. Assist-2-Sell franchise offices are full-service real estate brokerages staffed by experienced, licensed real estate professionals who are members of the National Association of REALTORS®, as well as state and local REALTOR associations. They take care of everything home sellers need from a real estate company but charge a lower commission. It's called "Full Service with $avings! "®, "Full Service for Less! "®, and "Results with Savings!"®. The most obvious difference between Assist-2-Sell and "traditional" real estate companies lies in the commission structure. Traditional firms typically charge home sellers a high commission that is a percentage of the sale price. (Example: Six percent). Assist-2-Sell offices charge a low, flat fee commission. (Example: As low as $4,995!) They believe that Friends Don't Let Friends Pay 6%®. We offer our "MLS for Less" program as we only charge 4.5%. This program adds the benefits of the MLS, while still offering home sellers the opportunity to pay a lower percentage @ 4.5%. 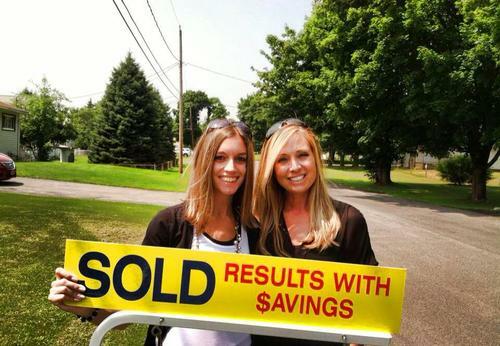 Assist-2-Sell is a full-service discount real estate company. Other companies that discount their commission usually do so by taking away services. If they charge less, they are going to do less. Assist-2-Sell understands why many people decide to sell their home by themselves, and it is ready to assist with its "Paperwork Only" program. 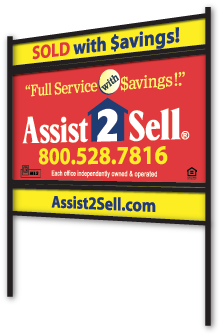 Assist-2-Sell can help with the sales contract and the closing for an even lower, flat fee. This is our Seller Assist® program.